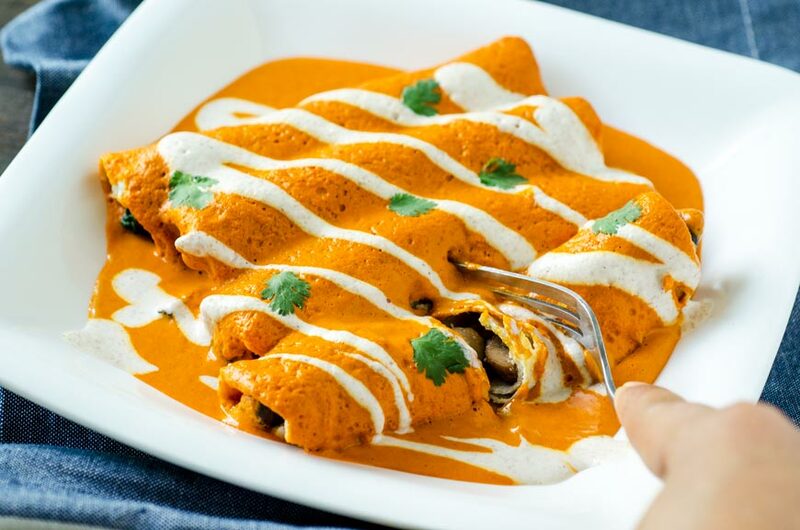 These spicy peanut sauce enchiladas, also known as encacahuatadas are smoky, creamy, savory, and full of umami. 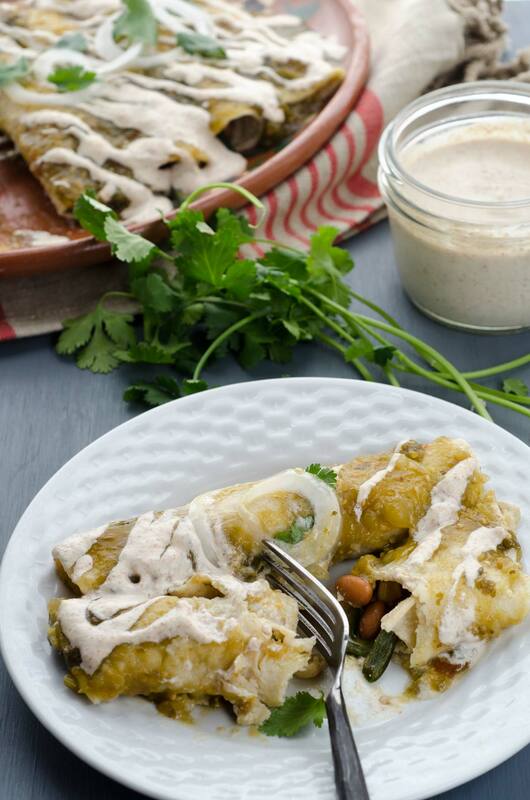 They are filled with sautéed mushrooms, and braised greens with hominy, bathed in a spicy guajillo-peanut sauce, and drizzled with almond crema. They are crazy easy to make, and are so good you’ll be making them again and again. 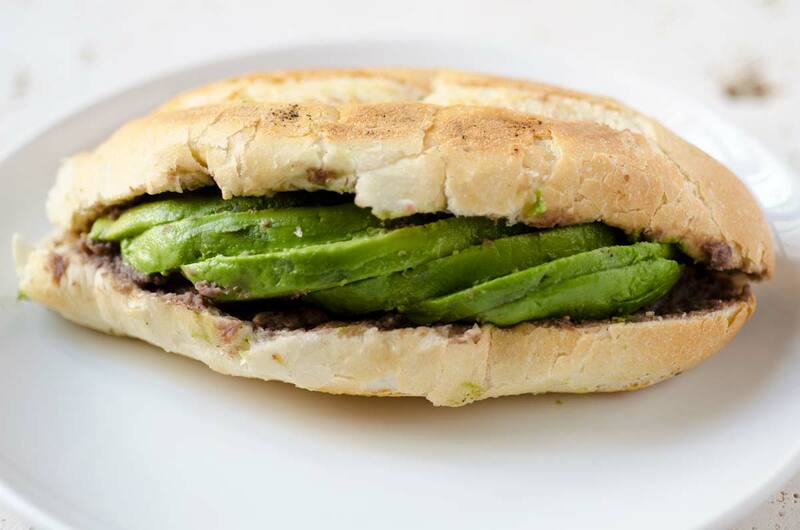 In Mexico these are known simply as encacahuatadas, and are a classic home cooked dish. They are usually filled with chicken, but your favorite vegetable filling will go great with these. They would make a great dinner, or even a good brunch option. Let me just say that I am obsessed with this sauce. I have been putting it on everything! 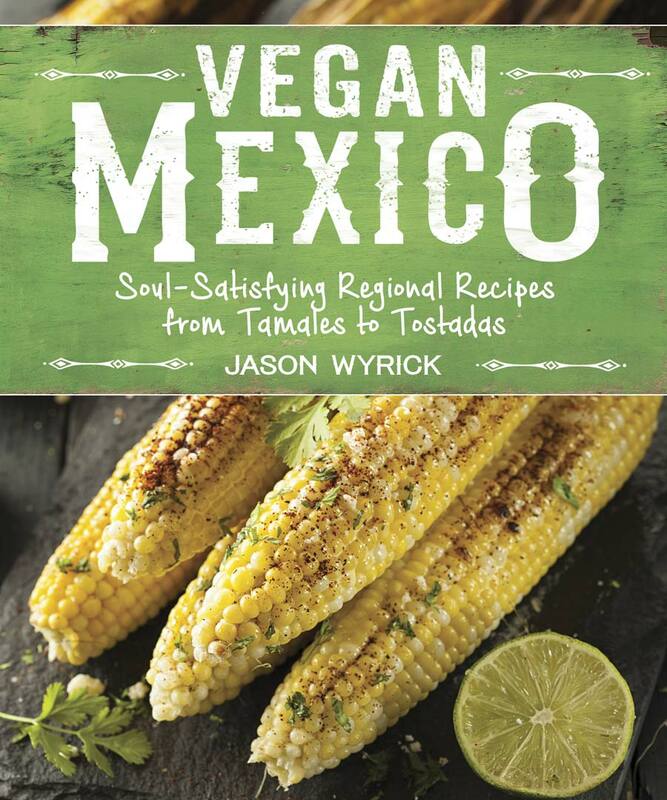 So far it is perfect with the enchiladas, but you can also put it on your baked potatoes, polenta, pasta, tacos, buddha bowls, and tofu. I’m one of those people that falls in love with a sauce or dish and then I makes it over and over again until I get tired it. This is one of those sauces. So you definitely have to try it. Summer is coming up and I am so not ready to have all the kids home. Not ready!! The first couple of weeks are always a little rough, but once we get into a groove we really have fun. My two older ones are always arguing and bothering each other, which can get really stressful sometimes, but our sweet baby is always all smiles. What are some of your summer plans?? I’ll tell you what I am ready for, all the delicious summer fruit. If you are allergic to peanuts you can use cashews or almonds. 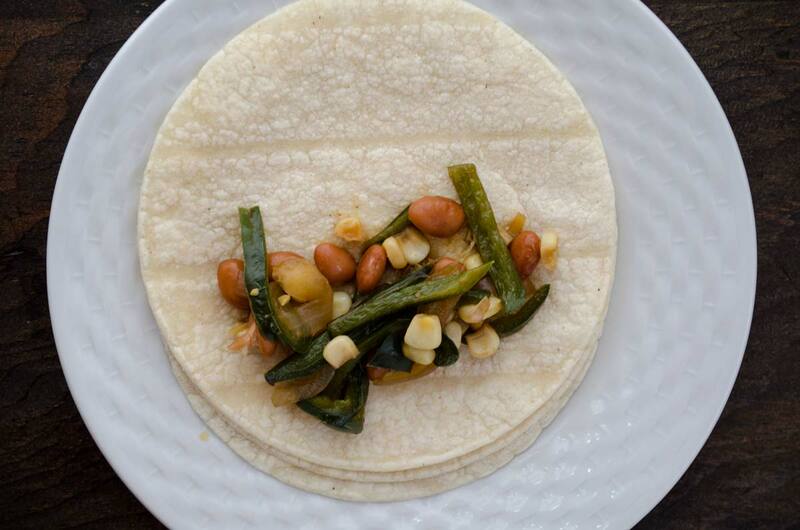 Corn tortillas are the best option for this recipe. Do not place these in the oven because they will fall apart. 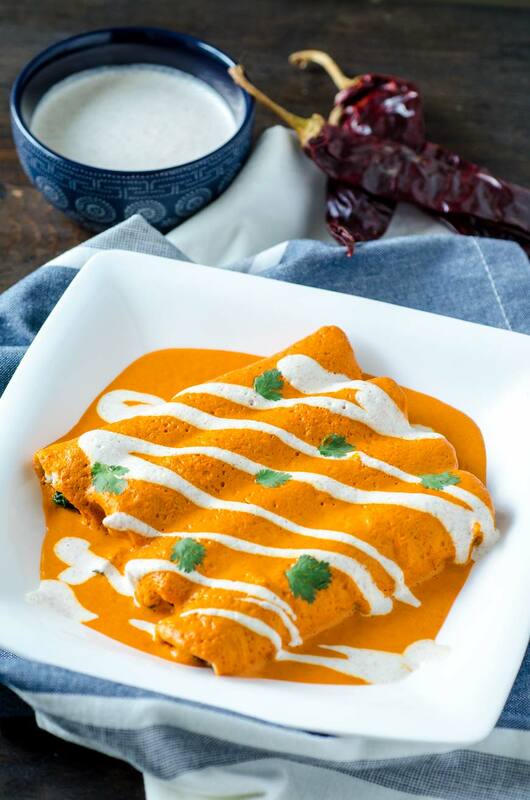 These spicy peanut sauce enchiladas, also known as encacahuatadas are smoky, creamy, savory, and full of umami. 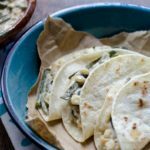 They are filled with sautéed mushrooms, and braised greens with hominy, bathed in a spicy guajillo-peanut sauce, and drizzled with almond crema. Bring a small pot of water to a boil. 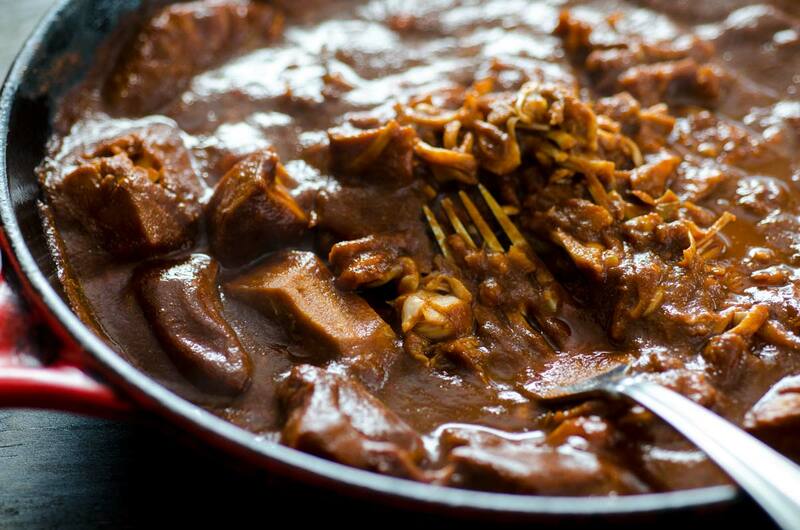 Drop in the guajillo chiles and turn heat down to a simmer, let simmer for 10 min. 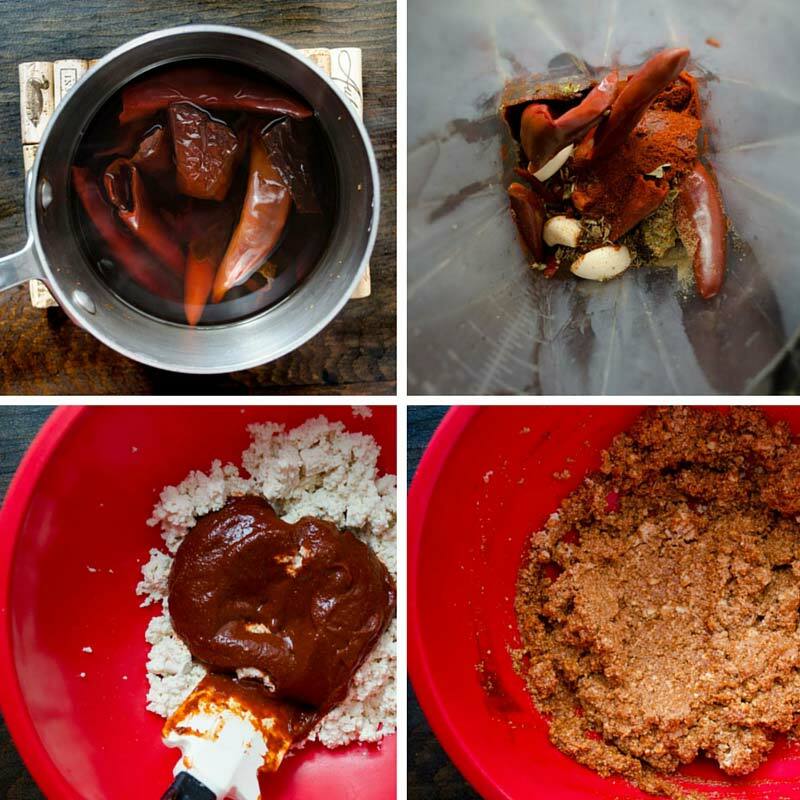 Drain guajillo chiles and place in blender with peanuts, chipotle chiles, garlic, roasted tomato, clove, and vegetable stock. Blend until smooth. If necessary add more stock until you reach the desired consistency.If you do not have a high powered blender, strain the sauce. Set aside. Lower heat to medium-low and add the garlic, cook for 1 min. Add the spinach and stir. 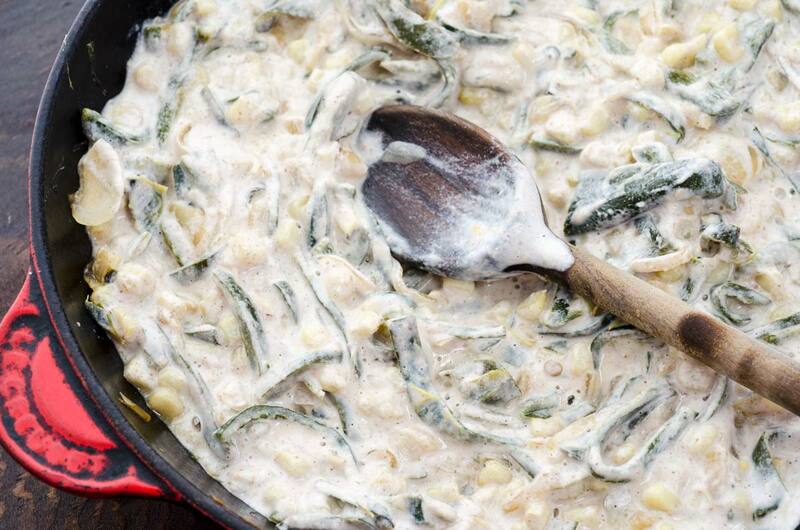 Cover pan and let spinach cook down, 2 -3 minutes. Add hominy and stir to combine. Season with salt and pepper. Set aside. Bring a medium sauce pot to low-medium heat and pour in sauce. Heat just enough to get it hot. If it simmers, the sauce might break. Warm corn tortillas in the microwave for 30 seconds or in the oven at 350F on a sheet tray for 5 min. 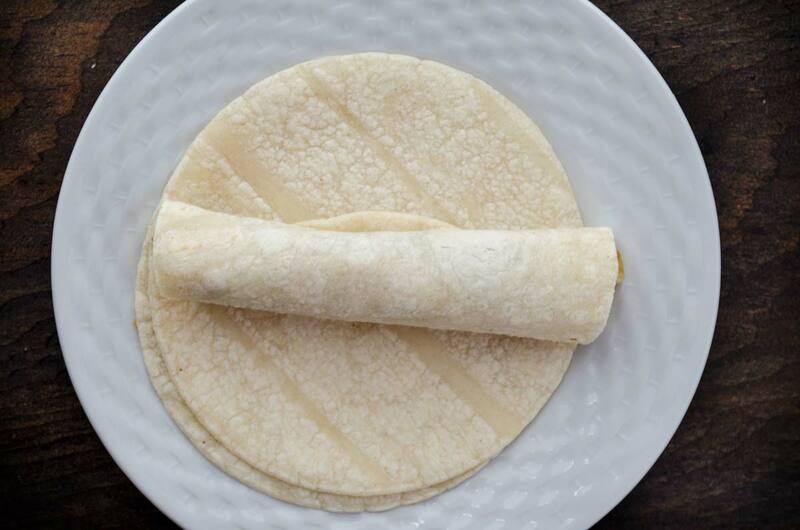 Just enough so that the tortillas are soft enough to be rolled. Spread 2-3 tbsp. of the peanut sauce on the bottom of a 9 x13 baking dish, Place 1 tbsp. of filling on each tortilla. 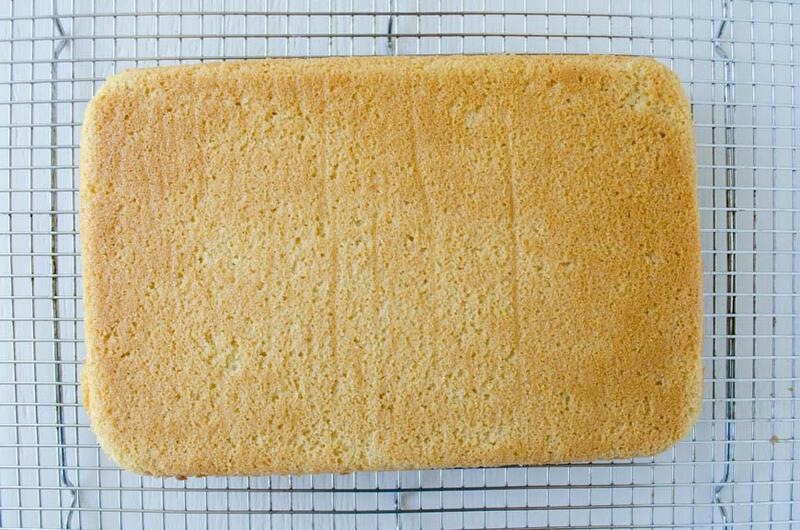 Roll and place on baking dish. 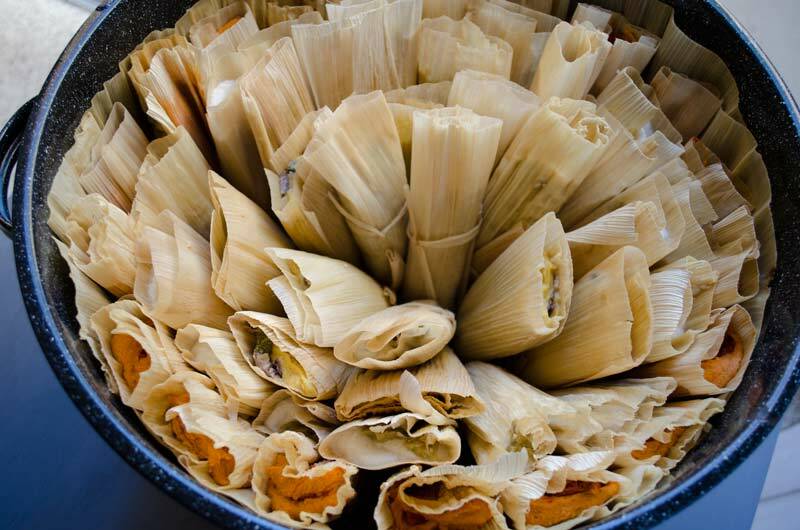 Continue this process until you have used up all the tortillas and the entire filling. 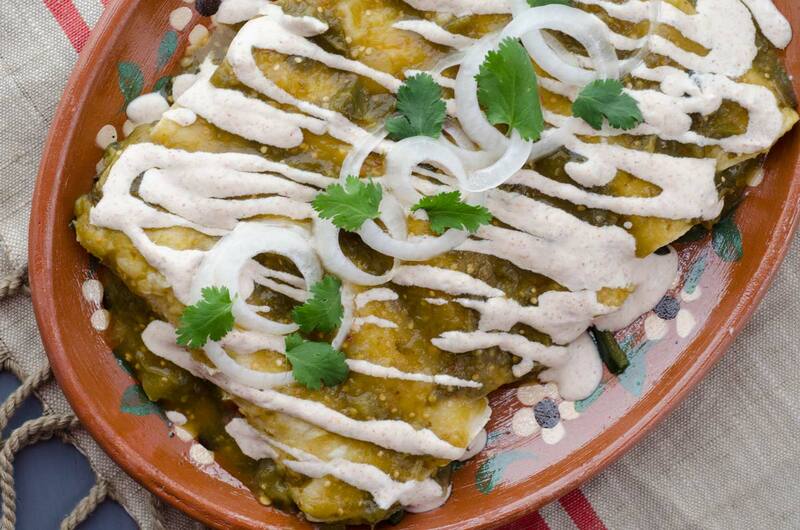 Pour the rest of the peanut sauce on top of the enchiladas and drizzle almond crema on top. 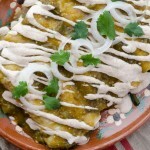 If the sauce and the filling are hot there is no need to put the enchiladas in the oven. 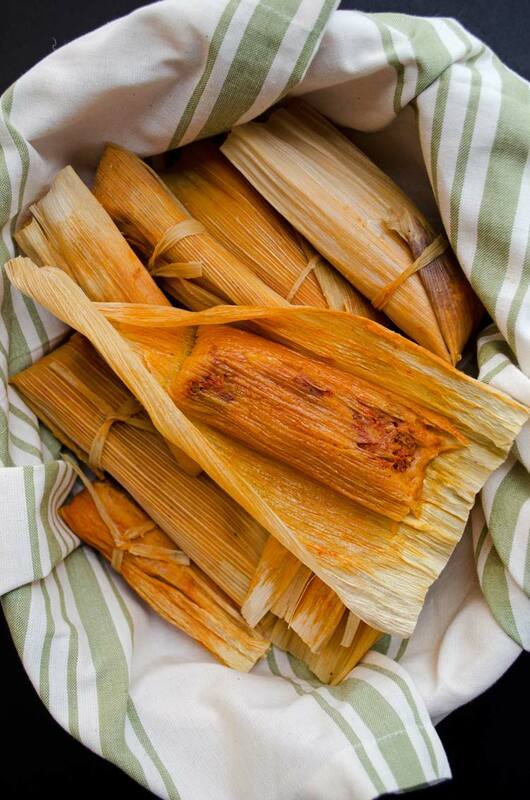 If you would rather place them in the oven do so at 350°F for 5-7 minutes. If you are allergic to peanuts you can use cashews or almonds. 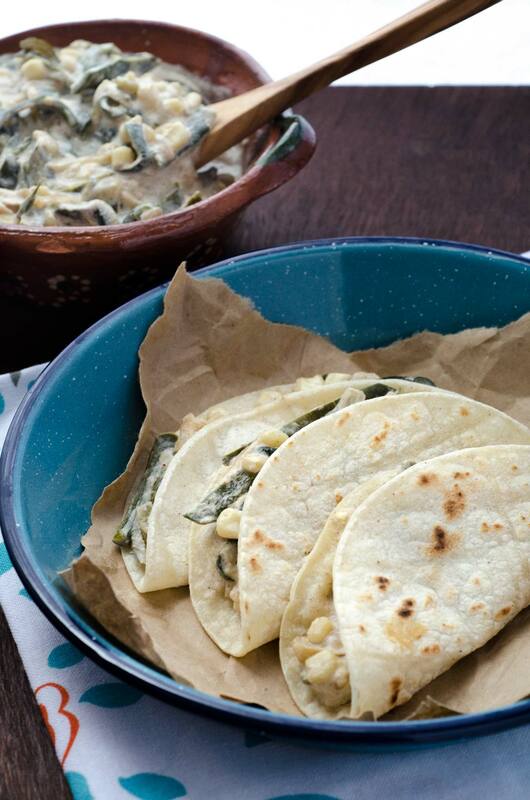 Corn tortillas are the best option for this recipe. 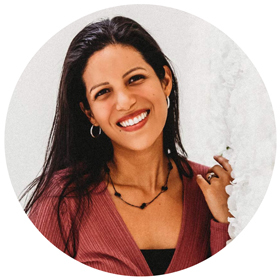 05/23/2018 /0 Comments/by Dora S.
Sometimes the heart wants what it wants, and it just so happens that this heart wants chiles rellenos. 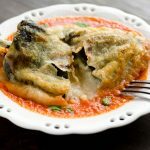 Are vegan chiles rellenos even possible? Yes they are my friends! At first, I was doubtful, I wasn’t sure of this was going to work, but after a couple of tries, the result was truly fantastic! They are crispy, melty, and spicy. 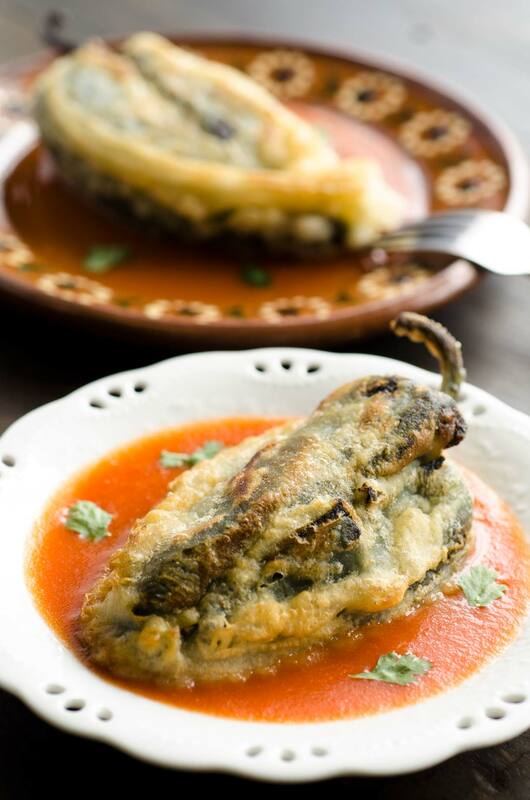 Everything a chile relleno should be. 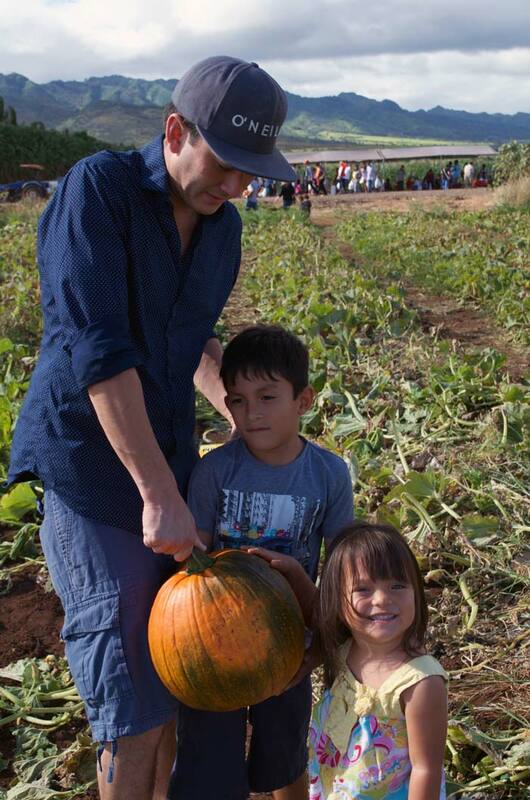 I just want to be crystal clear and honest with you, and tell you that they are not healthy. They are fried in oil, lots of it! However, they are still 100% vegan. A couple of weeks ago I told you that I was trying to drop oil from my diet, and I am still trying (very unsuccessfully). How weird is it that I had an easier time giving up dairy? 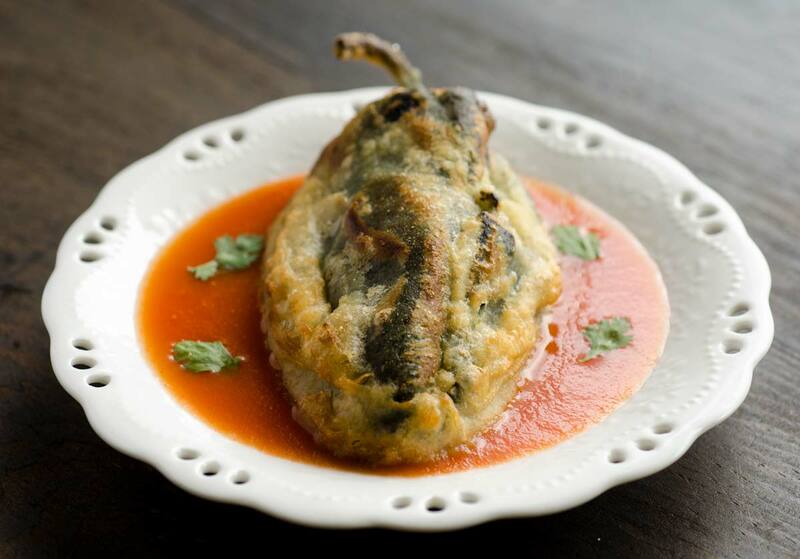 Like I said before though, sometimes there are special occasions and moments in our lives that call for a special dish and nothing else will do except a chile relleno. 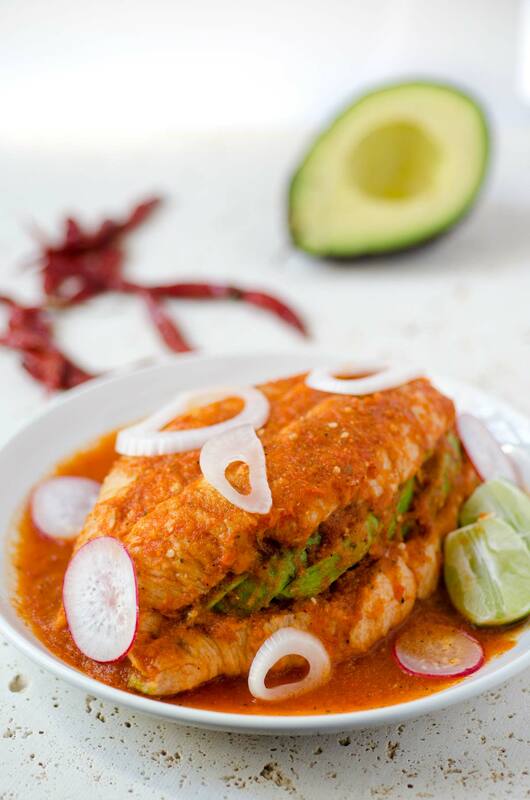 However, if you are looking for a healthy option you can try this chile relleno stuffed with quinoa, zucchini, and corn that is topped with a chipotle cream sauce. 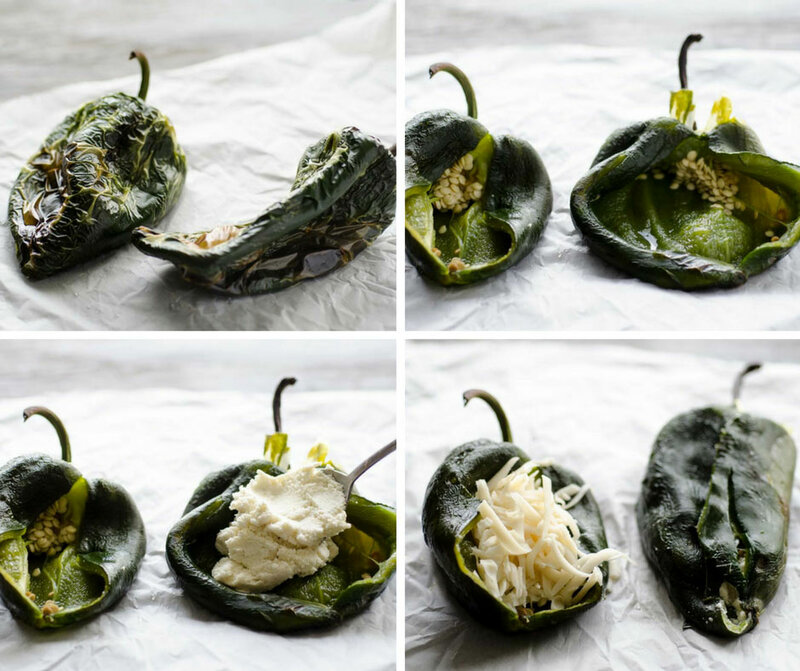 For this version I have stuffed the chiles with two types of cheeses. I am not a fan of the processed vegan cheeses, but I finally found one that I actually like Chao vegan cheese. The other one is stuffed with my macadamia nut queso fresco. Both of the cheeses worked very well with the dish. The Follow Your Heart cheese is very much like a traditional cheese, you can grate it, slice it, and melt it. 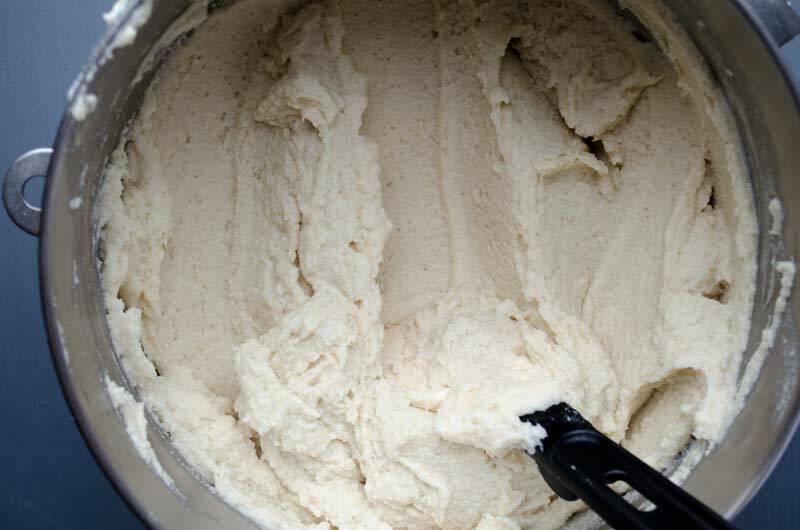 The macadamia nut cheese behaves like a queso fresco, you can spread it but not melt it. I think it worked very well in the chiles rellenos. I like both of them, but be sure to try them and let me know which one is your favorite. Enjoy! 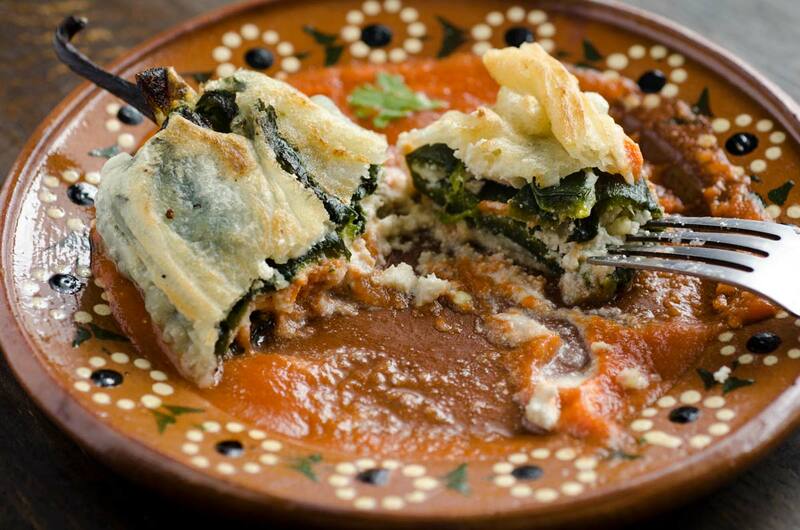 Vegan Chiles Rellenos, filled with cheese and fried until golden and crispy, served on a tomato sauce. 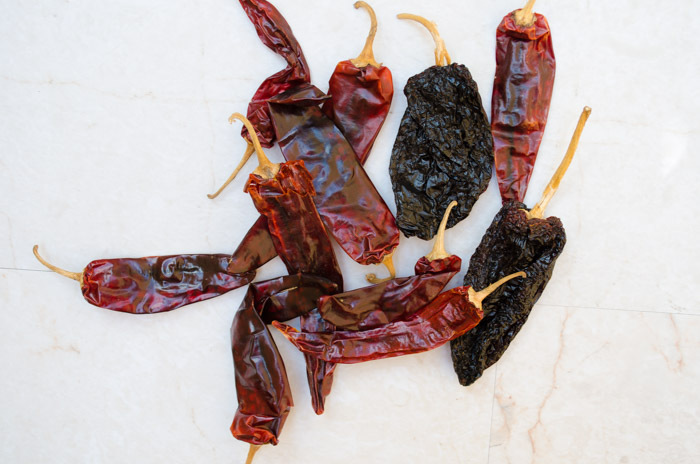 Once your poblano chiles are roasted and peeled, using a knife, make a vertical cut from the stem to the tip of the chile. Fill with your favorite vegan cheese, close the chile, and secure with toothpicks. Set aside. 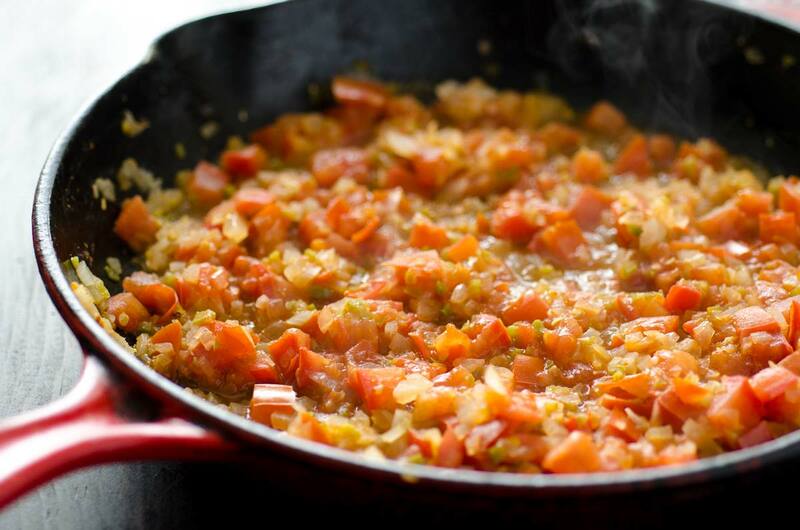 To make the sauce: Place the tomatoes, garlic, and onion in the blender and process until smooth. Heat a medium sauce pot to medium heat and add the tomato sauce. Simmer for 7 – 10 minutes or until the sauce begins to thicken. Season with salt and pepper. Set aside. 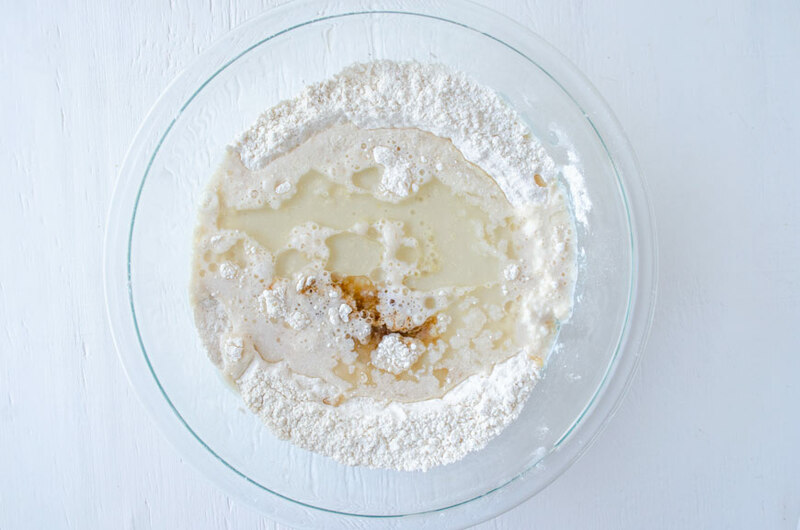 To make the batter: combine the flour, cornstarch, and salt in a large bowl. 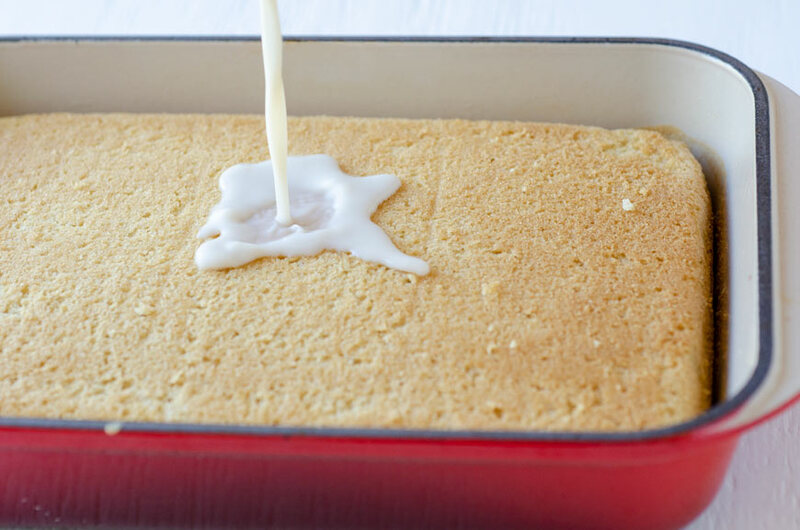 Pour in soda water and whisk until combined. 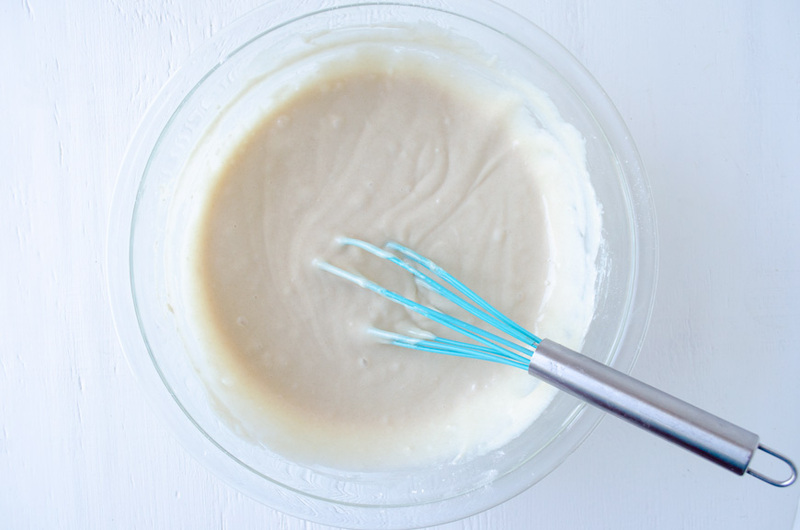 It should have the consistency of a thin pancake batter. Heat two inches of oil in a high sided pan to 360°F. Dip each chile into the batter, letting excess drip off, then place in oil and fry until golden, about 5 minutes on each side. 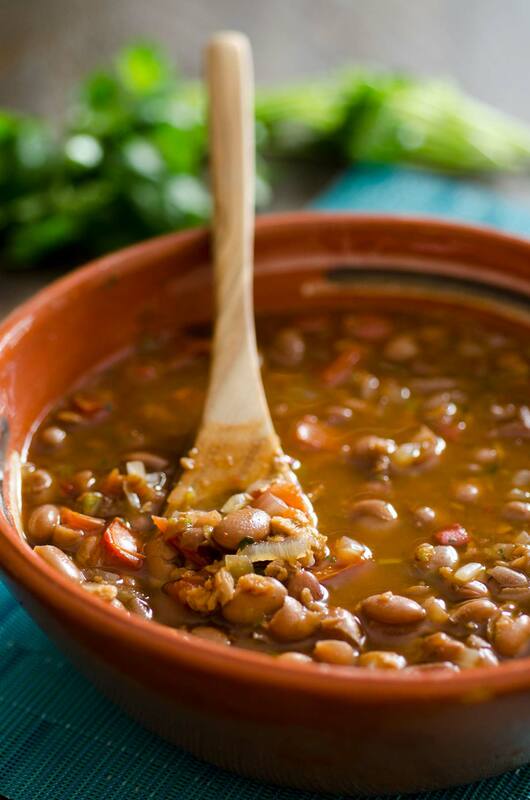 Remove the chiles and place on a plate lined with paper towels to absorb excess oil. My favorite vegan cheese for chiles rellenos is Chao cheese, which comes in slices, but I grated it anyway on a box grater. 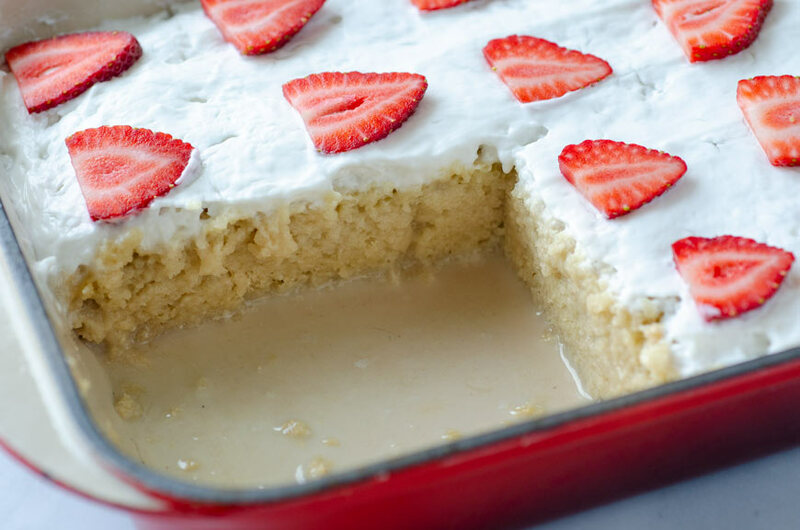 I have also made this with my macadamia nut queso fresco, which doesn’t melt, but behaves very much like a fresh farmer’s cheese. Both cheeses gave good results. 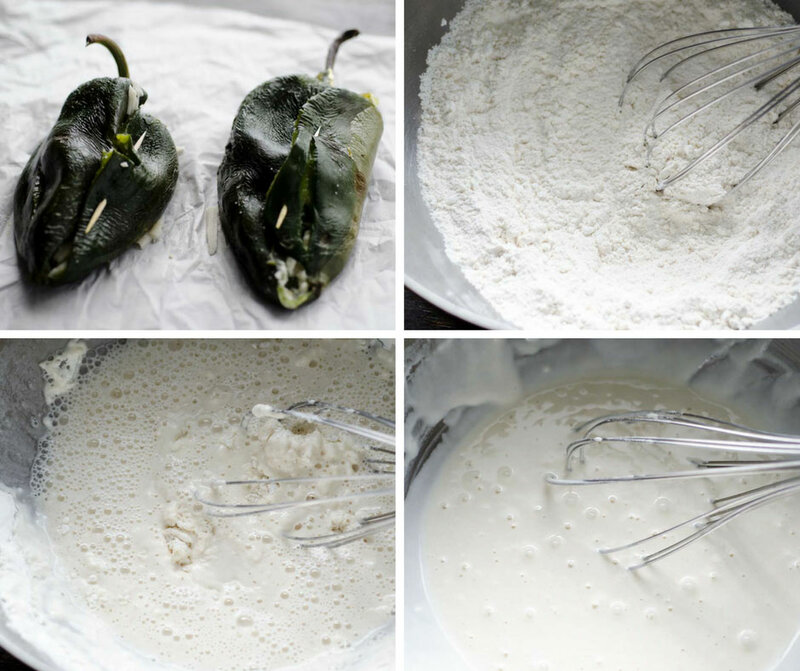 If you want the batter to be yellowish like traditional chiles rellenos you can add 1/4 tsp. 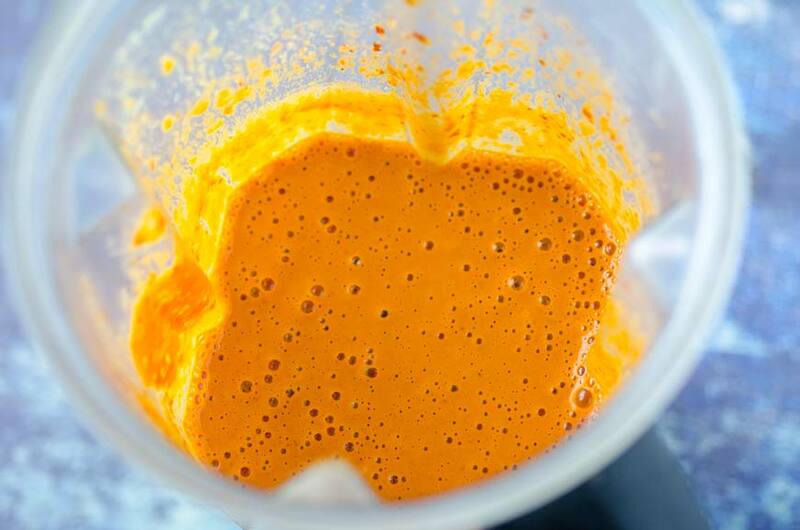 of turmeric to the batter. 09/12/2016 /9 Comments/by Dora S.
Chorizo is one of my comfort foods. Nothing beats a breakfast of huevos con chorizo, warm corn tortillas and salsa molcajeteada. Of course as a vegan, there aren’t many chorizo options. This recipe though, might change your mind about vegan chorizo. This has to be my most tested recipe. I tried many versions of this, one made with quinoa, one with tempeh, another with tofu, and one with just mushrooms. 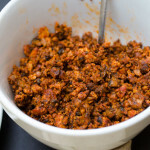 After many failed chorizo attempts, I give you the best homemade vegan chorizo recipe you will be able to find. 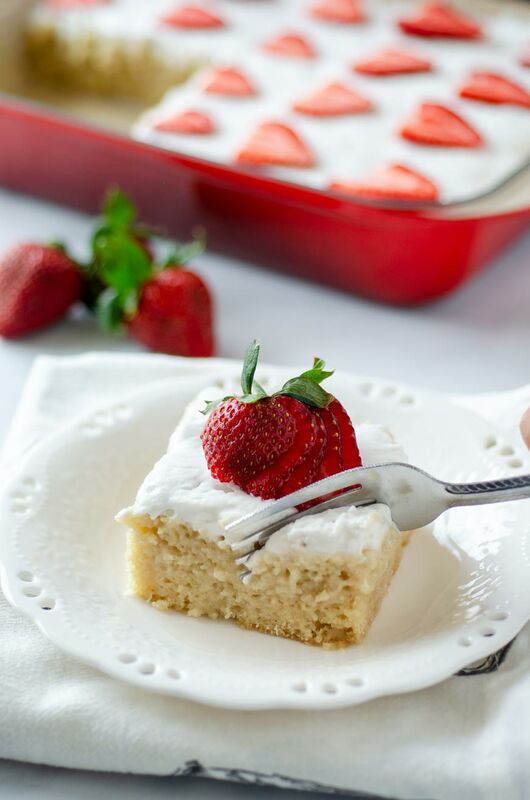 The recipe takes a little bit of time, but believe it is worth it. 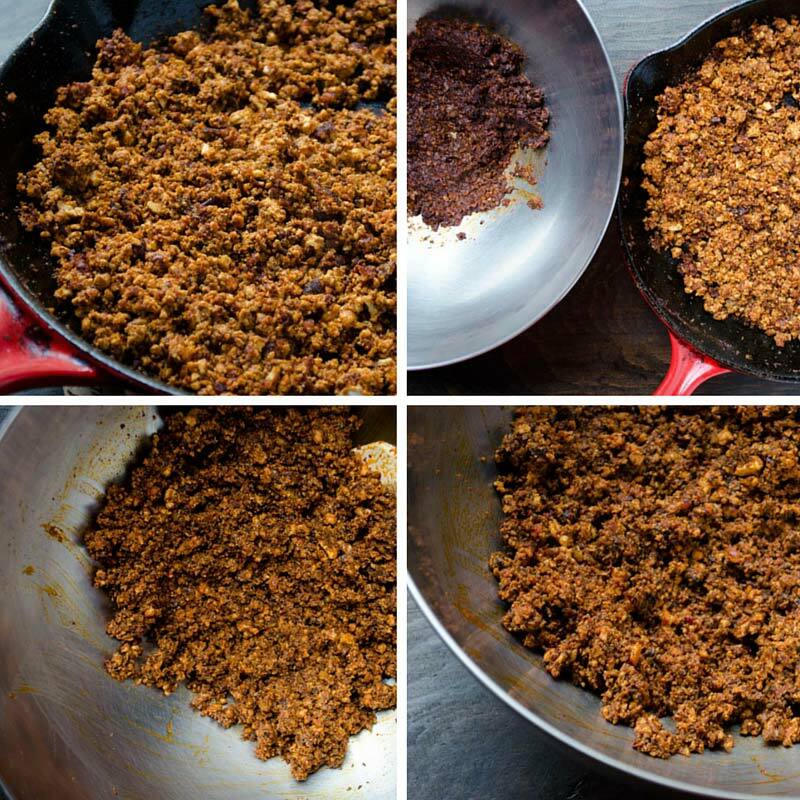 This chorizo is spicy and crumbly, with tons of umami flavor and notes of clove and coriander. To make this chorizo you first have to press the tofu for 30 minutes. Place in between two plates with a heavy object on top. 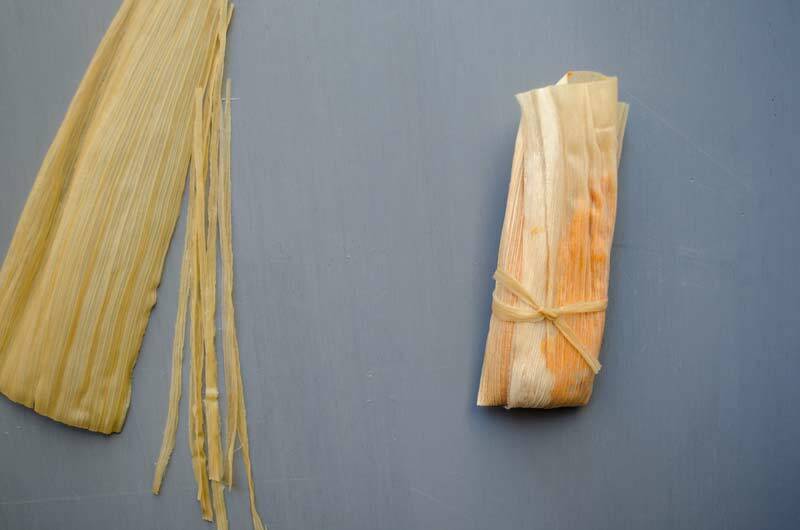 This eliminates the excess water in the tofu, creating a better texture for the chorizo. Then crumble it into a large bowl. Take your dry chiles, and remove the stems and seeds. 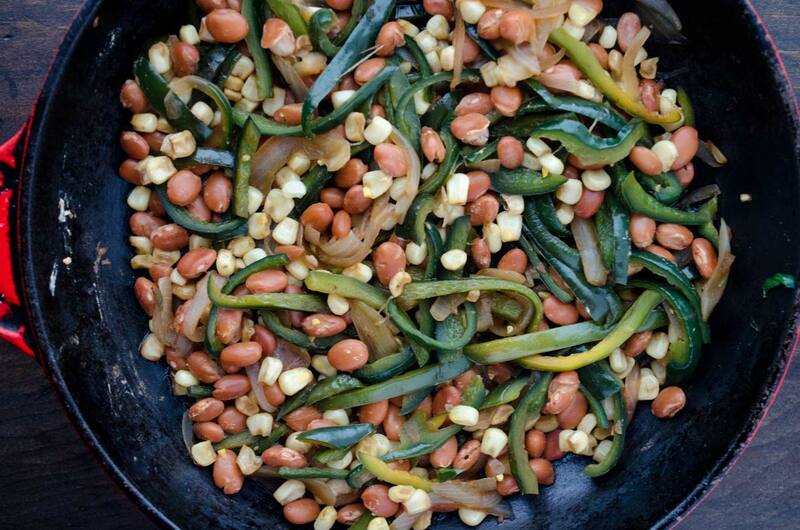 Bring a pot of water to a boil and drop the chiles inside. Turn the heat down to the lowest setting and let sit for 10 minutes. 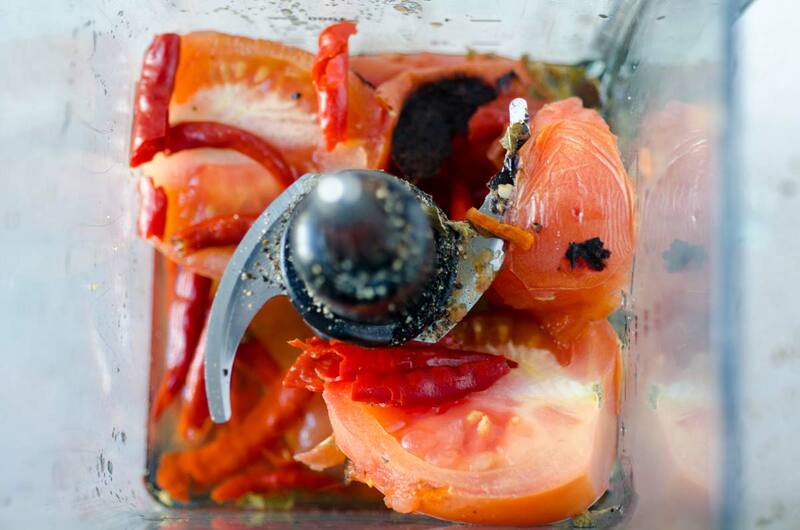 Remove the chiles from the water and place in the blender. 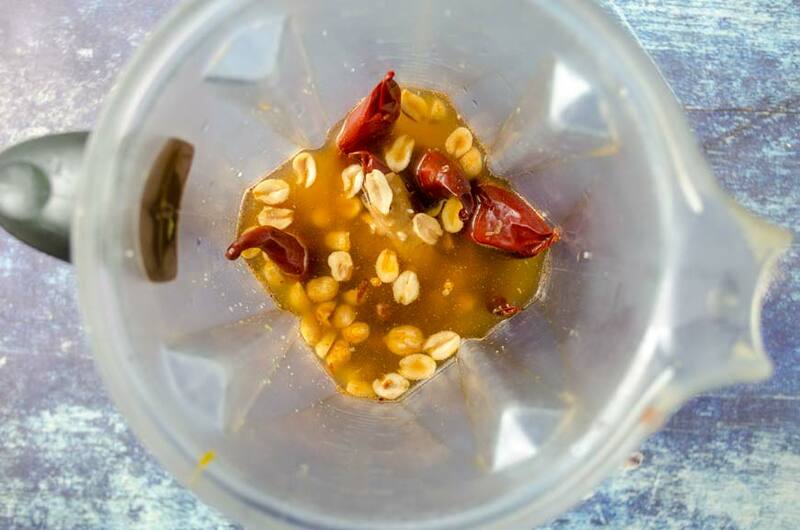 Reserve ½ cup of the chile soaking liquid. Add the garlic, oregano, cumin, cloves, paprika, coriander, apple cider vinegar, and ¼ cup of soaking liquid to the blender and process until smooth. If necessary add the remaining ¼ cup of the soaking liquid to get things moving in the blender. Strain the chile mixture. Add half of it to the crumbled tofu. 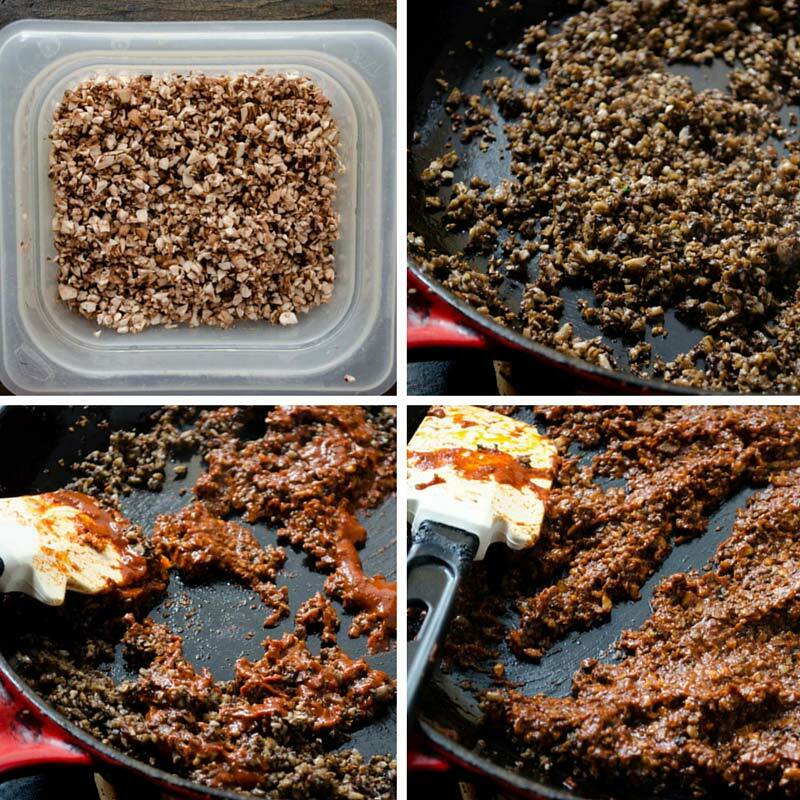 Mince your mushrooms finely. I recommend you do this with a knife not a food processor. Sauté them until golden brown and a bit crispy. Add the remaining half of the chile puree and cook for a couple more minutes until the mixture has thickened. Sauté the tofu until golden brown and crispy. In a large bowl combine the cooked mushrooms and tofu and check your seasoning. The chorizo possibilities are now endless. I will be making papas con chorizo, torta de chorizo, sopes con chorizo, and many more dishes. I can’t wait for you to try them. Enjoy! The finished chorizo will keep in your fridge for 3-5 days, or you can freeze for up to 3 months. To increase the spiciness add more chile de arbol. 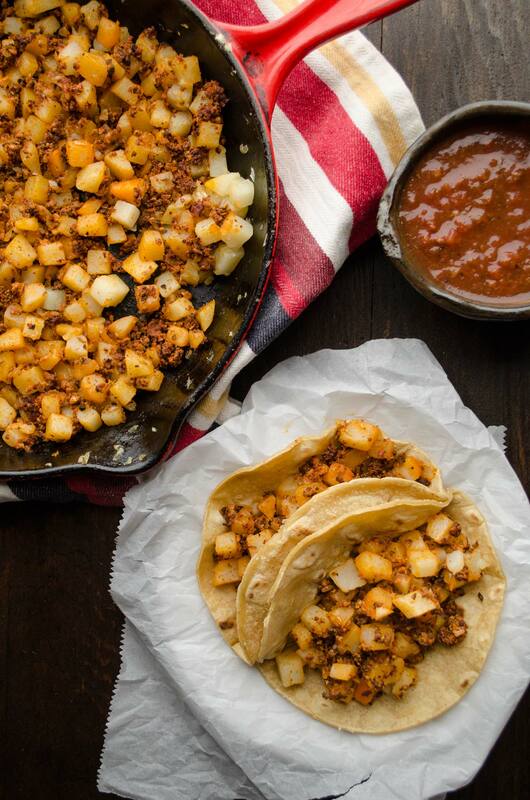 This recipe for homemade vegan chorizo is the only one you will ever need. It is spicy and crumbly, with notes of clove and coriander. Remove tofu from package and place in between two small plates. Place a can on top of the plates and leave like this for 30 min. Bring a small pot of water to a boil. Remove the stems and seeds from the chiles and discard them. 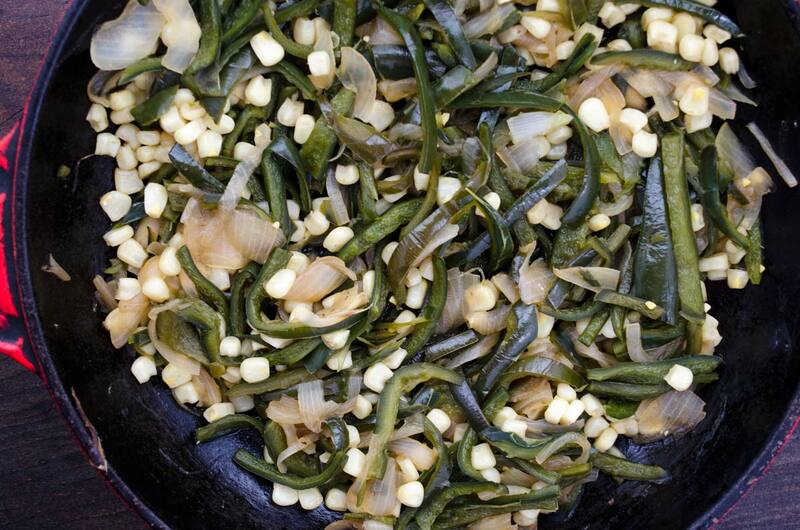 Drop the chiles into the boiling water. Turn heat down to the lowest setting and let the chiles sit in the water for 10 min. 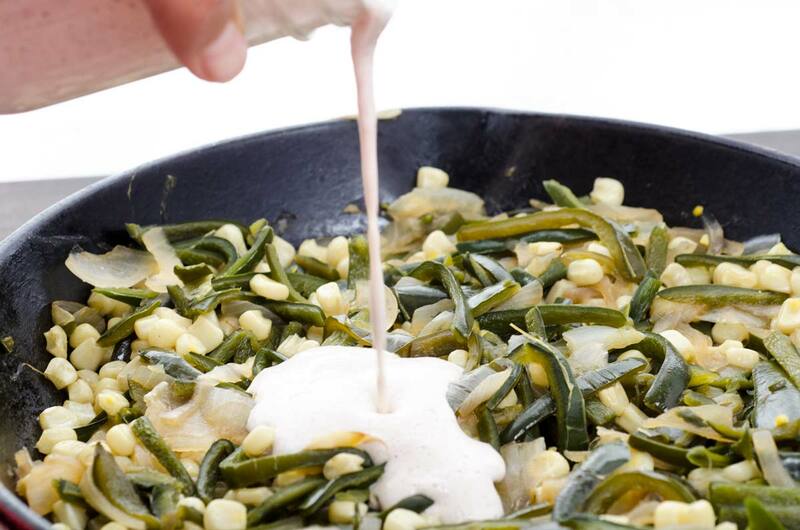 Remove the chiles from the water and place in blender. Reserve ½ cup of the chile soaking liquid. Add the garlic, oregano, cumin, cloves, paprika, coriander, apple cider vinegar, and ¼ cup of soaking liquid to the blender and process until smooth. If necessary add the remaining ¼ cup of the soaking liquid to get things moving in the blender. Season the chile mixture with salt and pepper and pass through a fine strainer. Set aside. 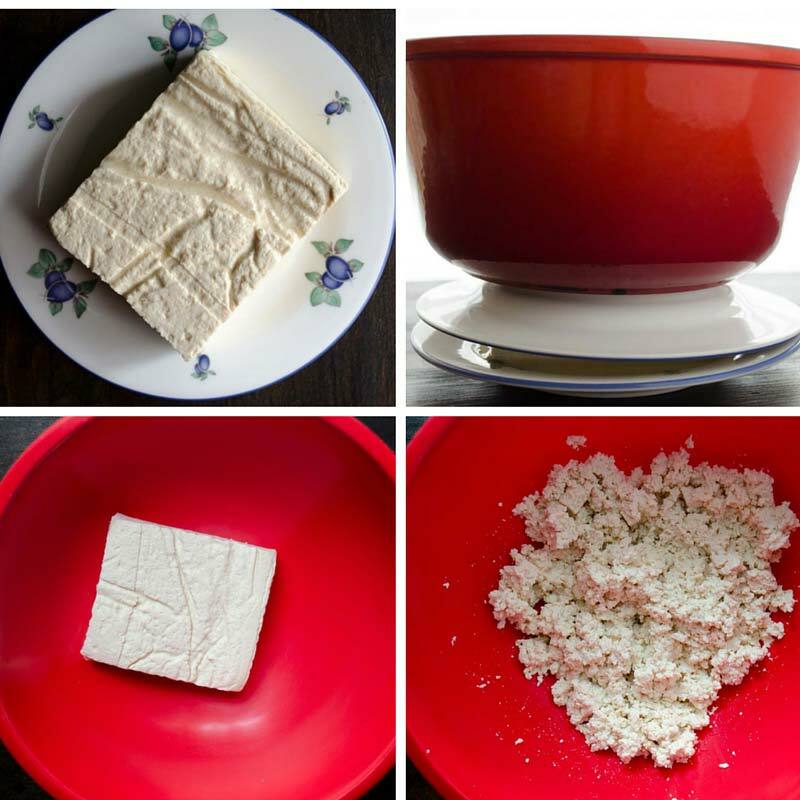 Drain the water from the tofu and crumble with your hands into a large bowl. Pour half of the pureed chile mixture into the bowl with the tofu and stir to combine. Set aside. Heat a large sauté pan to high heat and add 1 tbsp. of oil. Once the oil is hot add the finely chopped mushrooms and continue to cook until the mushrooms begin to brown, about 6-7 min. Lower heat to medium-low and pour in the remaining half of the chile mixture. Stir and continue to cook for 3-4 minutes, until the mushrooms begin to absorb the chile mixture. 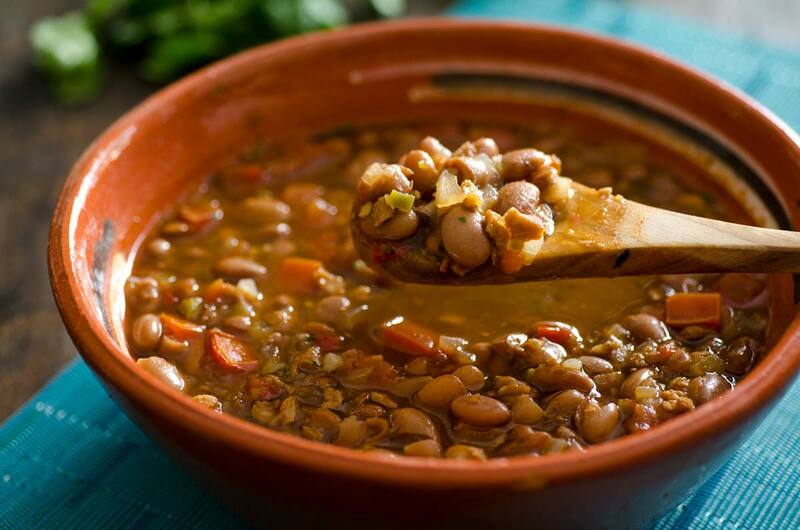 Remove from pan and place in a large bowl. 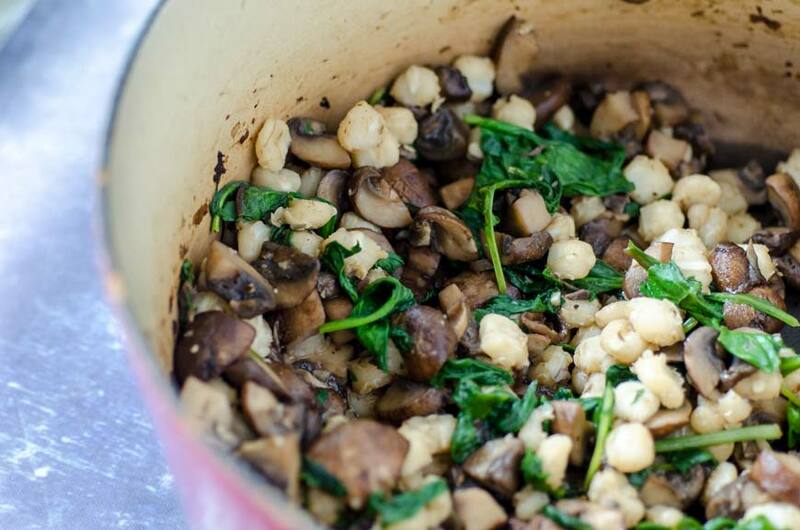 Pour cooked tofu mixture into the bowl with the mushrooms and mix well to combine. Adjust seasoning. The finished chorizo will keep in your fridge for 3- 5 days, or you can freeze for up to 3 months. 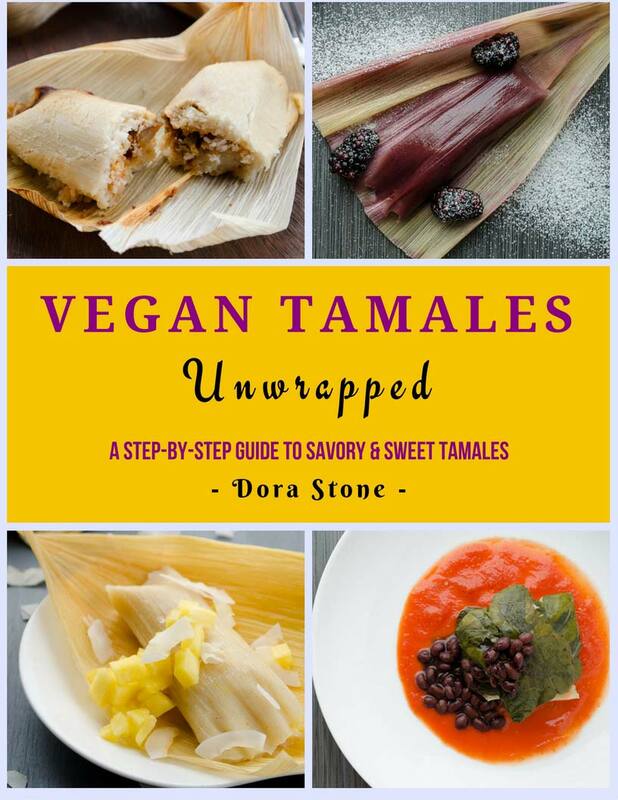 You can add it to your tofu scramble, tacos, tortas, sopes, etc. To increase the spiciness add more chile de arbol. 01/15/2016 /38 Comments/by Dora S.